Everything has cycles, the seasons change, the elements move through and around us. Take a day or two to open into awareness of the shift into spring, using the energies of the change of season and the full moon. We will be letting go of that which we do not need – southern hemisphere participants will be emerging from the winter cycle – and looking for inspiration for the growing months to come. 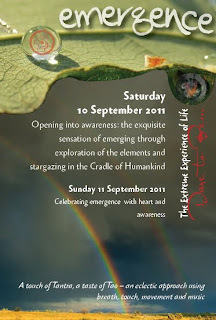 Participants from the northern hemisphere will be inviting in that which they need in preparation for the autumn months. 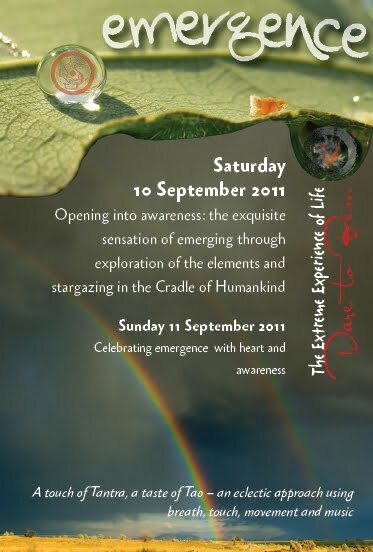 With Dakini Shekina this group experience is suitable for individuals and couples of all ages. Saturday: Exploring the elements, our bodies and connection inwards and outwards through dynamic meditation, breath and movement; Star Gazing evening and dinner. The programme caters for all levels of tantric and magickal expertise, from entry to master. Each will experience the activities to a depth that they can accommodate, with shifts and unfolding in alignment with their highest good.